I’ve been a terrible blogger lately. It’s really not you, it’s me. As much as I cut out of my life to prepare for this crazy busy soccer season and preparation to build a new home, blogging just had to take a back seat. I wanted to update you all on my first round of Fluconazole, how my son’s sinus surgery went, as well as how our Myofunctional Therapy is going along! It’s been a busy end of summer at our house! First off, the Fluconazole did help. Not enough for me to eat raw veggies… but enough to notice a change in distention after eating. MUCH improved. We’re talking about round two starting soon, but I definitely want to try it again. 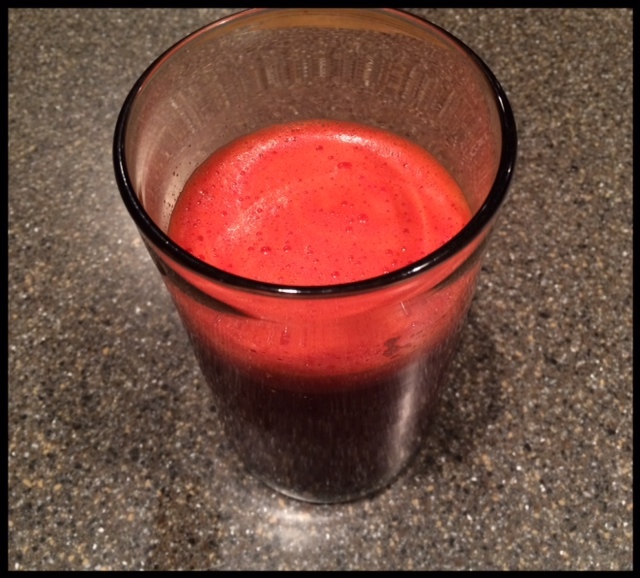 I’ve been more consistent daily with my juices to start my day, and keeping my meat portions in check. More recently I’ve gone back to keeping all raw fiber out of gut, so only cooked veggies, avocado (1 a day total) and well cooked meats – mainly salmon, chicken, and turkey – with some red meat (Grass fed and finished beef). I’ve also been studying some on parasites, and cleanses with that. I ordered SA Wilson’s coffee for this. My son’s surgery went fabulous, as did this healing period. The only issues we had were with recovery in the surgical center. The medical reports (yes, we got them!) said that the surgery went well and he woke up and went to recovery. We ended up waiting almost an hour following surgery, to get to see him. He had to be put on oxygen for about 4 hours because the nurses had drugged him with Demerol, an old drug they used to use in the 70s. Not cool. Especially considering we talked in length with the anesthesiologist about his adrenal issues, inability to methylate narcotics, etc. She totally understood. She actually came in following surgery and said… “mom was riiiiight.” So we’re fairly certain it wasn’t her that gave the orders for that. Meanwhile, we he also had an allergic reaction to one of the other medicines they gave him… Still we have yet to get the paperwork on this situation to figure out what we need to be aware of. THAT has been frustrating and is just one of my many beefs with the whole western medicine bullying that can occur. Clearly you have a right to the records and information – you are the patient. Especially on an allergic reaction, you need those records to be informed for your health future. I’ve managed to have a sinus attack with our weed pollen counts through the roof in Kansas, followed by some type of virus that went through our family. Pertussis has been pretty thick throughout the county, so it could very well be that… you know us though, definitely NOT afraid of the promoted and highly exaggerated “big, bad wolf.” The kids keep asking when they are going to start coughing. We’re wondering if with supplements and our diets – if this just won’t be an issue. The mucous is super thick – but with high levels of Vitamin C, increased probiotics, vitamin D and fish oil – we seem to be faring well. Some info on treating whooping cough naturally for a 30 year immunity, vs a 3 year (maybe) with the vaccine. Anyway, for us, so far, so good. This time when I left, I found myself missing “home” and family even more. There is something about being with people who just get you, who are a support system, they encourage and love you. When I said good-bye to my mother she held on long and cried deep. I wondered in my heart what it must feel like to know you’d never just “hang out” with your daughter again… how afternoons together, grabbing a movie or a meal wouldn’t be possible because they simply lived too far away. Not just for a season, but forever. My acupuncture read out said that I was struggling with stress, and “a broken heart.” Couldn’t have been more spot on. Thanks be to God for the burdens and heartache He carries when we can’t. How Important Is a Diagnosis? Hi! Great to see you!